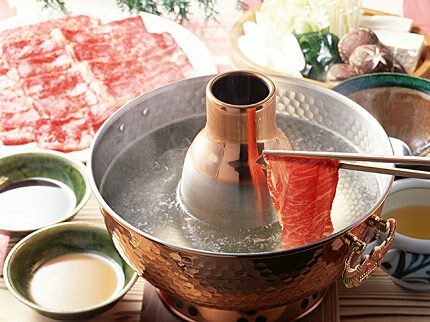 Shabu-shabu is a form of Japanese hot pot, consisting of vegetables and thinly sliced meat which are cooked in a boiling pot of water or broth, dashi . 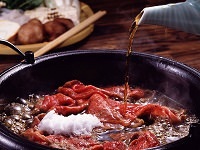 The name shabu-shabu comes from the sound made during the process of swaying your meat in the pot when cooking. 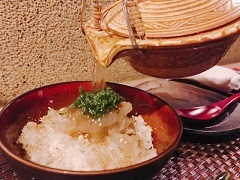 Shabu-shabu is a popular Japanese dish that is enjoyed most often at home because it doesn't require much preparation except cutting the vegetables. 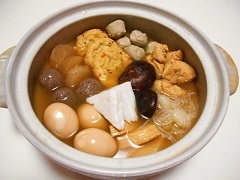 Family and friends can sit around the table and cook their own food as they enjoy each other's company. 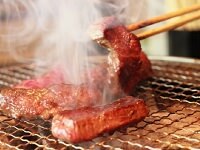 The meat is cooked as you eat, and is said to be best enjoyed when only swayed in the pot for only as long as it takes to say shabu-shabu , which is about 3 seconds. 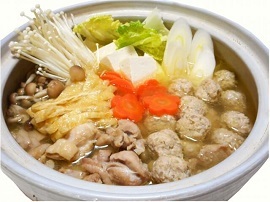 Looking forward to eating Shabu-Shabu during your vacation? The guides at Japan Deluxe Tours are more than happy to recommend a great shabu-shabu restaurant during your Japan tour in Tokyo or Kyoto! 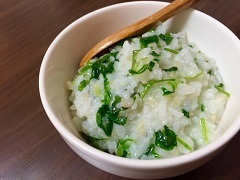 Chazuke, bowl of rice in green tea poured on it. 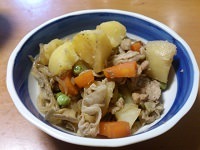 It's Japanese soul food!